As the Notorious B.I.G. 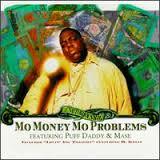 sang "Mo' Money, Mo' Problems", although this past week has been more like "Mo' Problems, Mo' Money". I'm still out in West Texas which I'm not happy about and to make matters even worse we've essentially made no progress over the last week. But not all is lost since whenever there's problems out here it means I make more money which means more savings which means more investing. Plus how many other jobs out there can you get paid to play video games/watch movies while there's issues that aren't related to your specific part of the job? That's good in small doses but when it keeps happening over and over it gets frustrating since it does mean I'm away from my wife. I didn't get nearly as much writing done as I should have this past week. There were lots of problems going on at work and since I wasn't involved I took the time to play some video games and just relax the majority of the week. I expect the close of the year to be rather quiet with fewer posts going live, but still plan to get at least a couple articles written per week. I keep getting lots of new ideas for posts and man would it be great for there to be 2 of me so I could get them all written. On Monday of this week I wrote about how you can continue to build your margin of safety even after crossing over to being financially independent and it's a topic that I want to expand on this coming week. Well, this week didn't go as planned. My goal entering the week was to come up with a short bodyweight routine and schedule it out for each day. I do much better when I have something written down to keep me on track, especially when it comes to doing just bodyweight exercises. I'll go out of my way to lift weights but I find it quite hard to walk just 15-20 ft away to do some bodyweight workouts. Motivation is funny like that! So the new plan is to actually get something lined up for exercises for this coming week. There was very little activity this past week for my portfolio. Well activity of my own doing. The volatility has definite spiked with Friday having a huge down day. I'm not worried though because the dividends keep rolling in and I received several payments throughout the week. I'm still contemplating what to do about Kinder Morgan, Inc. but I'm leaning towards selling due to their dividend cut and also I can reap some tax losses as well. Be sure to sign up to receive posts via email and to follow me on Twitter@JC_PIP so you don't miss anything. I also started a Facebook page to give people another option for keeping up to date on posts and happenings with the blog. Thanks for sharing the post about our recent beach camping trip, JC. I hope you get to go home soon! We'll see what happens. They just ran into more issues this morning and they have a few options on the table. They can just say screw it and haul in a bunch of water to drill knowing they'll lose it, run casing, try cementing again, or plugging and abandoning the well. Personally I'm hoping for a P&A or hauling in a bunch of water to just get it over and done with. Looks like I missed some great articles thru the week. Thanks for compiling this list and sharing. Thanks for sharing the roundup JC. Sorry to hear the week didn't go well for you but hopefully next week and next year is much better! I was talking to my wife the other day and we both said this year was rough as we both were more busy this year (with our side hustles) but it didn't feel like we made a whole lot of progress. Hi JC -- thanks for including a link to my Goals for 2016! I'm quite curious to see more goals posts (ha!) rolling out over the next few weeks. I'm with you, this community is amazing and so inspiring!